I picked this book mostly out of interest for the topic - a look into Compton from the eyes of a cop. With the recent releases of LA92 and the various police brutality cases lately I was interested to see it from another perspective.The first half of the book was normalizing an abusive culture, with examples included where police planted drugs and made excuses for arrests. The author did little to act apologetic or condemn those actions. 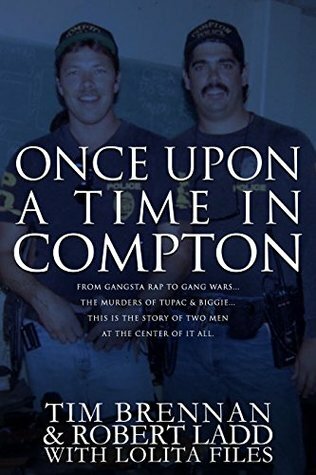 The second half of the book focused more on the major crimes they dealt with, including those involved directly (and indirectly) in the murders of Biggie and Tupac. This part of the book was much better and, had they left out the "oh it's normal for cops to treat gangbangers this way" I could have rated the book much higher. I would recommend this book to anyone who is interested in an honest perspective of Compton in the '80s and '90s. The purpose of this book is not to thrill the reader with conspiracies. Instead, the purpose is to tell the truth from the eyes of police officers Brennan and Ladd. Brennan and Ladd have many interesting stories to tell, but to tie them all together into one book proved to be a challenge. Although the book did feel a bit choppy, I read this book in order to gain a better understanding of the history of Compton and of LA, and this book did that for me. Thank you officers Brennan and Ladd for your service. It kept me engaged from cover to cover.